Playing Experience: Chloe has played soccer for 6 years. She has been playing on a Premier Level team for 3 years. Favorite Quote: Decide. Commit. Succeed. Athlete of the Month is based on nominations. 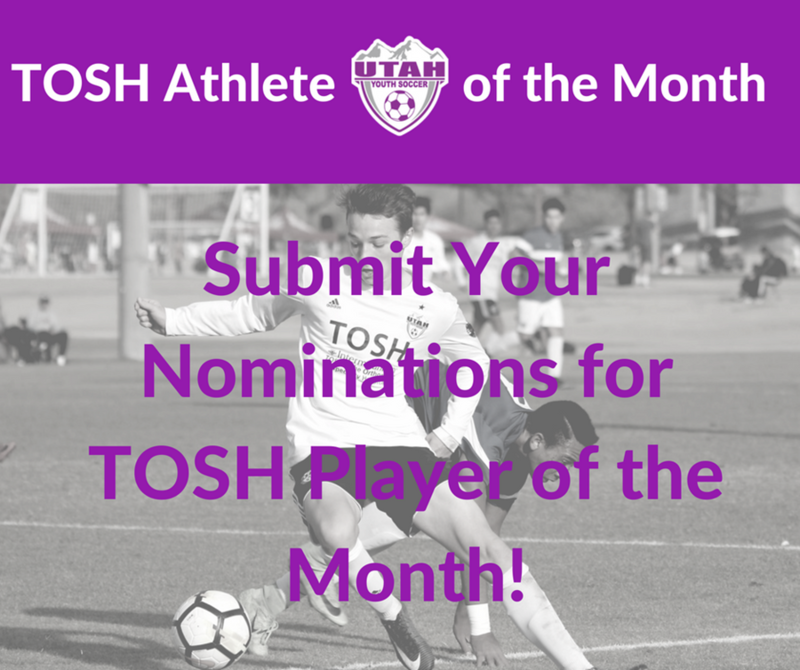 If you would like to nominate a player for the TOSH Athlete of the Month, please email your nominations to Eric Landon (elandon@utahyouthsoccer.net). To view recently honored players, please visit our TOSH Athlete of the Month Archives page.